Balance for Life was born to help you improve balance and prevent falls. 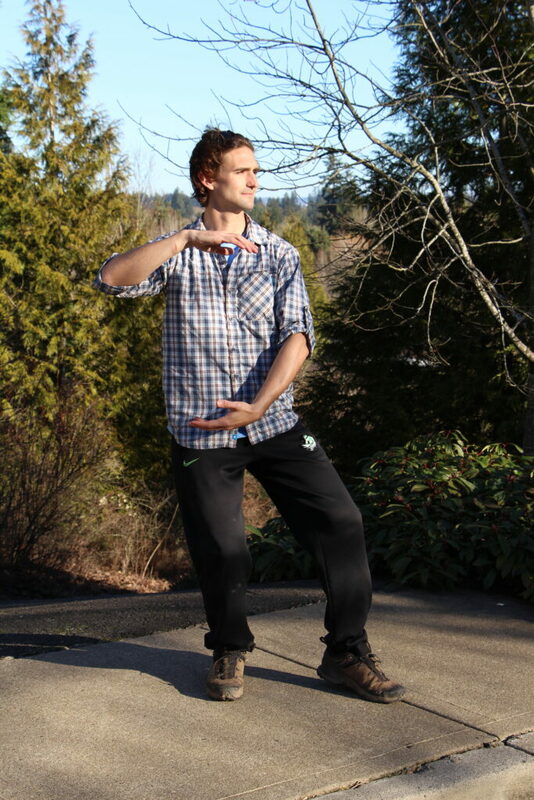 Founder Nate Guadagni has over 13 years of experience teaching yoga, qi gong, functional fitness, and meditation. He is the creator of Bo Yoga®, a gentle form of mindful movement which blends yoga, qi gong, and meditation. He is the inventor of the Balance Bar prop; a flexible, padded staff that makes yoga safer and more accessible. After seeing first hand the shockingly fast decline in his Grandma’s health after she broke her femur from a fall, he knew that he must help others prevent losing their loved ones prematurely. He is an RYT – 500 Yoga Teacher with the Yoga Alliance and a member of the International Association of Yoga Therapists. He is currently completing his 200hr Holden Qi Gong Teacher Training Course with internationally recognized teacher Lee Holden. He is the author of Bo Yoga, Taking Yoga Further as well as 3 DVDs and multiple online courses. He leads Instructor Trainings, national retreats and workshops. Nate lives in the scenic Portland, Oregon with his wife Roya where they spend as much time possible hiking mountains and chasing waterfalls. 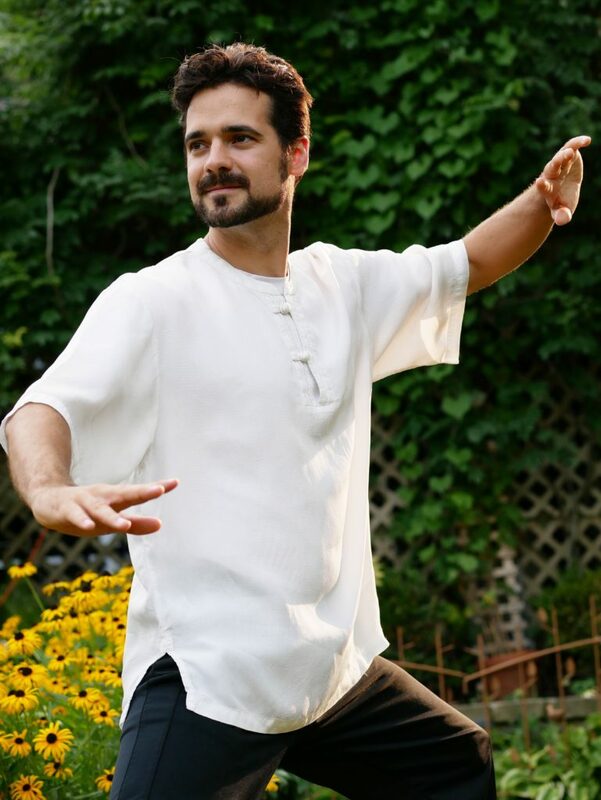 Mikey Latteri has been practicing and teaching Tai Chi for over 12 years and is dedicated to the whole health of his students and clients. He is the co-founder of the Kundalini Center which is dedicated to promoting personal, community and global health through nutrition, gardening and wellness practices. While studying medicine at the Oregon Health and Science University he saw firsthand the physical, emotional and financial devastation that falls can cause to families. He vowed to help people avoid ending up in surgery and rehab by promoting prevention through “pre-hab” and resilience training. He lives in Portland, Oregon and loves to stay active with soccer, gardening, volunteering, hiking and camping in the great Pacific Northwest. Balance For Life offers Online Courses, Private Sessions and Workshops to empower older adults to stay active, prevent falls and keep their balance, for life. The Square, Triangle, and Circle represent the integration of the many systems in Balance for Life such as yoga, tai chi, qi gong, functional fitness, and meditation. It also represents the different qualities that we must adopt to be fully in balance; strong, yet gentle, integrated, yet independent. Finding harmony and balance in the many aspects of yourself is the key to a long and happy life.